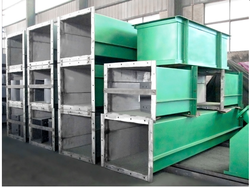 Our product range includes a wide range of bucket elevator, ice breaker bucket elevator, bucket elevator pulley, bucket elevator casing and bucket elevator sprocket. We are the leading manufacturer and supplier of Bucket Elevator in Tamilnadu, Kerala, Coimbatore, Tirupur, Karur, Salem, Chennai etc. 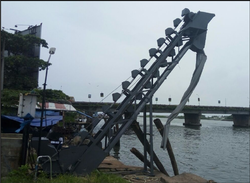 We are the leading manufacturer and supplier of Ice Breaker Bucket Elevator in Tamilnadu, Kerala, Coimbatore, Tirupur, Karur, Salem, Chennai etc. We are one of the leading manufacturers of Bucket Elevator Pulley that are used for horizontal conveying of various free-flowing material. This product is fabricated with quality steel to ensure durability. 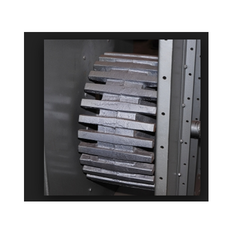 The pulley we offer is fabricated making use of quality approved cast iron, graded & steel casting and latest machinery. To ensure the smooth functioning of the shaft of this pulley set, it is made from alloy steel. Note: We are the leading manufacturer and supplier of Bucket Elevator Pulley in Tamilnadu, Kerala, Coimbatore, Tirupur, Karur, Salem, Chennai etc. Note: We are the leading manufacturer and supplier of Bucket Elevator Casing in Tamilnadu, Kerala, Coimbatore, Tirupur, Karur, Salem, Chennai etc. 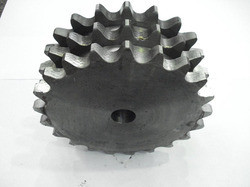 We are a leading manufacturer of Bucket Elevator Sprocket, which is material hoisting equipment. Our Bucket Elevator Sprocket is vertically up conveyor equipped with buckets fitted on the chain. All these are manufactured using quality raw material and thus match the international quality standards. We are the leading manufacturer and supplier of Bucket Elevator Sprocket in Tamilnadu, Kerala, Coimbatore, Tirupur, Karur, Salem, Chennai etc.